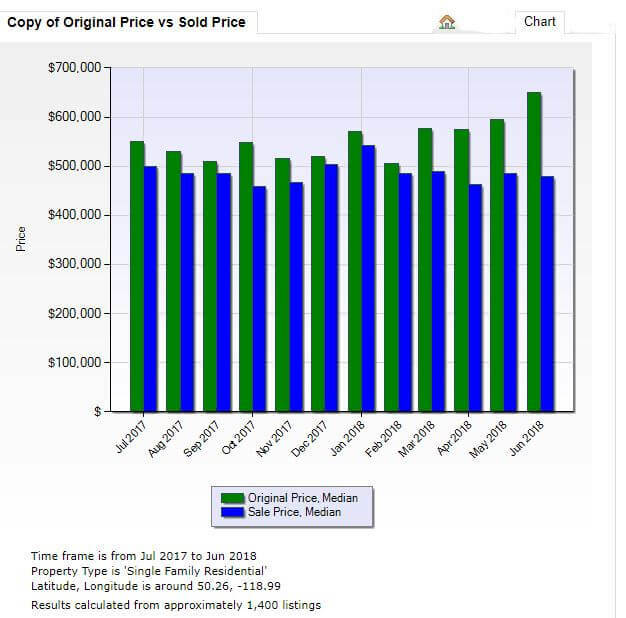 Chart Data is for single family homes in the general geographic areas of Lumby, Vernon, Coldstream, Lavington, White Vale, and Cherryville as of June 4 2018. If you’re interested in buying or selling, contact me. 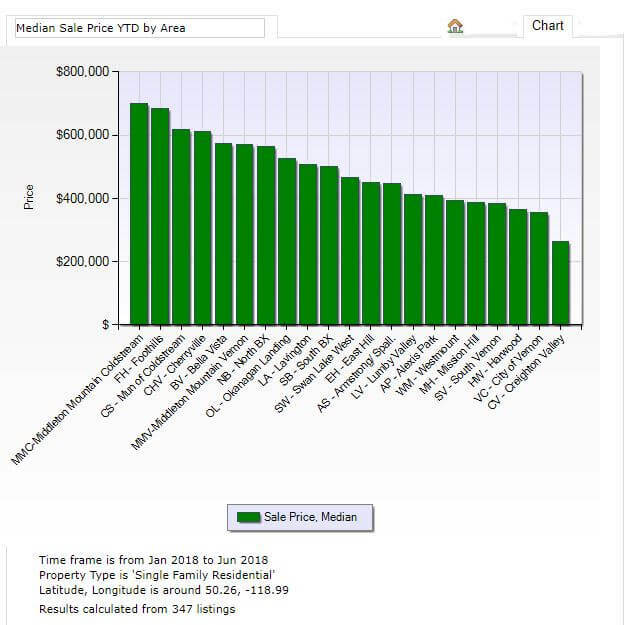 Local area median list price to median sale price over past year from approximately 1400 single family listings. 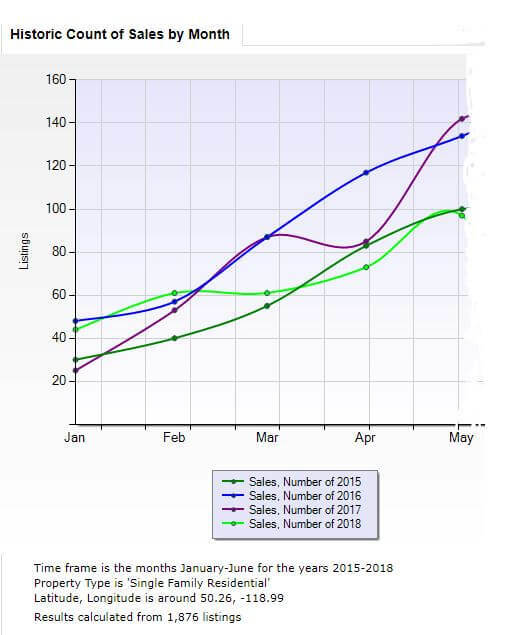 Local area 4 year Historic sales count by month Year to Date (Jan-June) from approximately 1900 single family listings. Showing we are heading into busiest months for selling and buying. 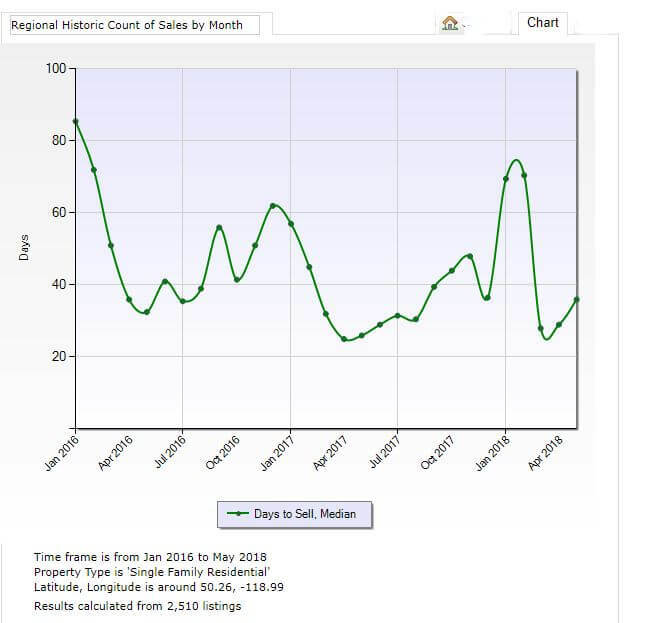 2-Year count of sales by month showing median days to sell showing busiest months are April through September. 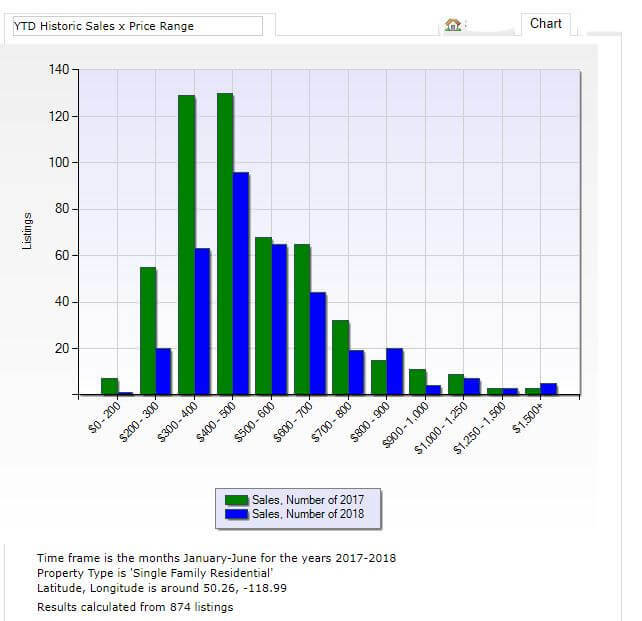 Chart shows the price range of single family home sales in our local region by number of sales this year compared to last year. Chart shows median sales prices year to date by local areas. Chart shows media sales prices year to date by local areas. To get notified when this data is updated, sign up for my newsletter. Click here. Authorized users only. Usage is governed by the OMREB Bylaws and Regulations. Matrix v7.1. Copyright © 2018 CoreLogic. All rights reserved.